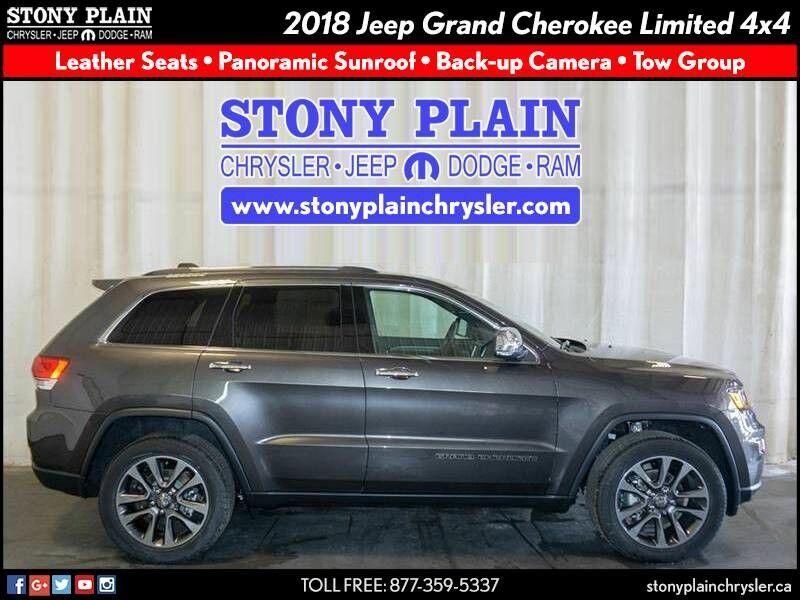 This 2018 Jeep Grand Cherokee Limited 4X4 SUV is proudly offered by Stony Plain Chrysler. Want more room? Want more style? This Jeep Grand Cherokee is the vehicle for you. Pull up in the vehicle and the valet will want to parked on the front row. This Jeep Grand Cherokee is the vehicle others dream to own. Don't miss your chance to make it your new ride. Simply put, this Four Wheel Drive is engineered with higher standards. 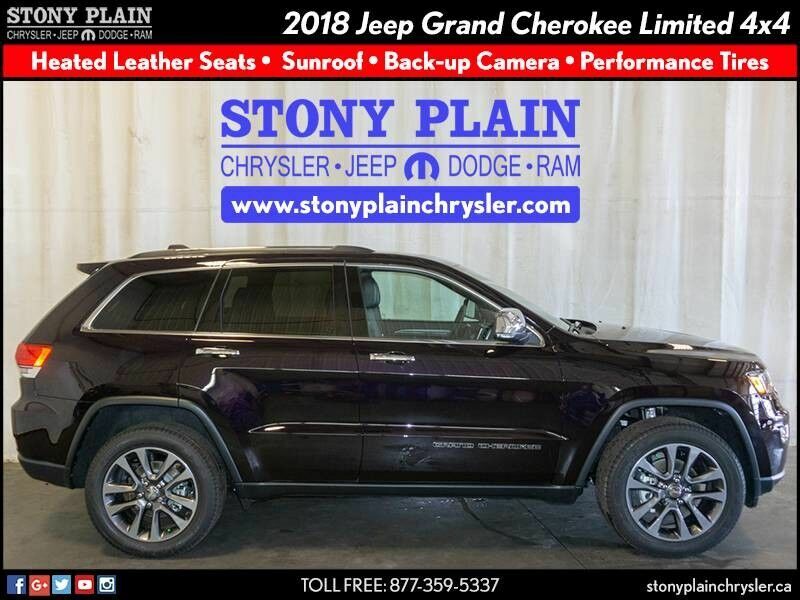 Enjoy improved steering, superior acceleration, and increased stability and safety while driving this 4WD Jeep Grand Cherokee Limited. Marked by excellent quality and features with unmistakable refined leather interior that added value and class to the Jeep Grand Cherokee. Where do you need to go today? Just punch it into the Jeep Grand Cherokee on-board navigation system and hit the road.